One evening. Two amazing artists! Jeff Kashiwa is one of the most compelling young saxophonists in contemporary jazz. Having established himself in the 1990’s as one of the most diverse saxmen in contemporary jazz during his decade long tenure with The Rippingtons, Kashiwa’s instincts led him to more dynamic endeavors through his solo career. It surprised many when Jeff left the group to venture out on his own, but he had things to say through his own music. Kashiwa now has nine CDs released under his own name and has continued to record as a guest artist with many other artists as well. 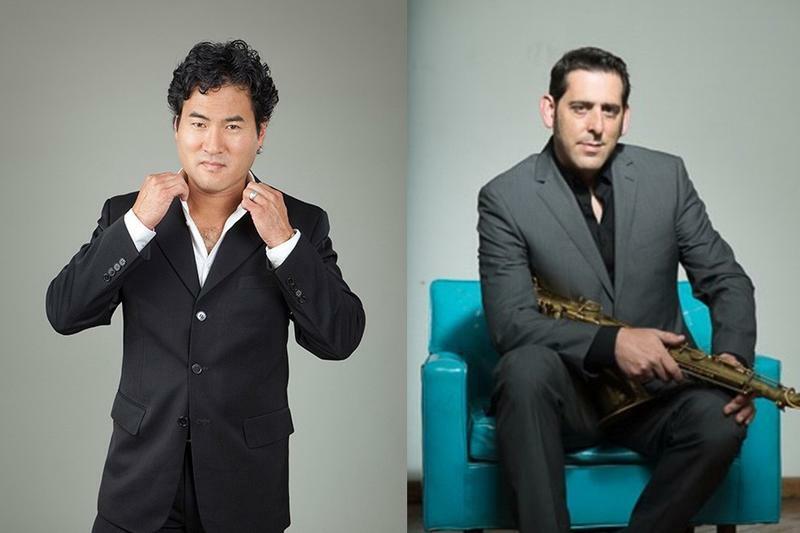 In 2004, Kashiwa founded The Sax Pack, a trio of saxophone headliners, featuring himself, Steve Cole and Kim Waters. The group released two CDs together and charmed audiences with their Rat Pack style reparte’ in tours across the U.S. and abroad. His brand new CD, Let It Ride, features a host of the greatest musicians in the world of Contemporary Jazz, including Russ Freeman, David Benoit, Chuck Loeb and Tom Schuman of Spyro Gyra. Saxophonist, Steve Cole is one of the most celebrated players in contemporary jazz. The Chicago native exploded onto the scene in 1998 with the album, Stay Awhile. The disc scored two #1 hits and earned Cole the Oasis Smooth Jazz Award for best new artist. His catchy singles made him an instant radio favorite and he cranked them out with regularity on subsequent albums, Between Us, NY LA, Spin, True and Moonlight. In addition to his work as solo artist, Steve has performed/recorded with Junior Wells, Buddy Guy, Boz Scaggs, Larry Carlton and Jeff Lorber to name a few. He is also a founding member of the stellar sax trio, The Sax Pack. Known for singles that deploy big vibrant pop hooks, Cole conjures a sonic escapade with the hypnotic Mirage, the first single from his forthcoming eighth album, Turn It Up, which will be released this summer. Don’t miss your chance to see these two amazing saxophonists in the intimate setting of the Studio Theatre. It will be an evening to remember!